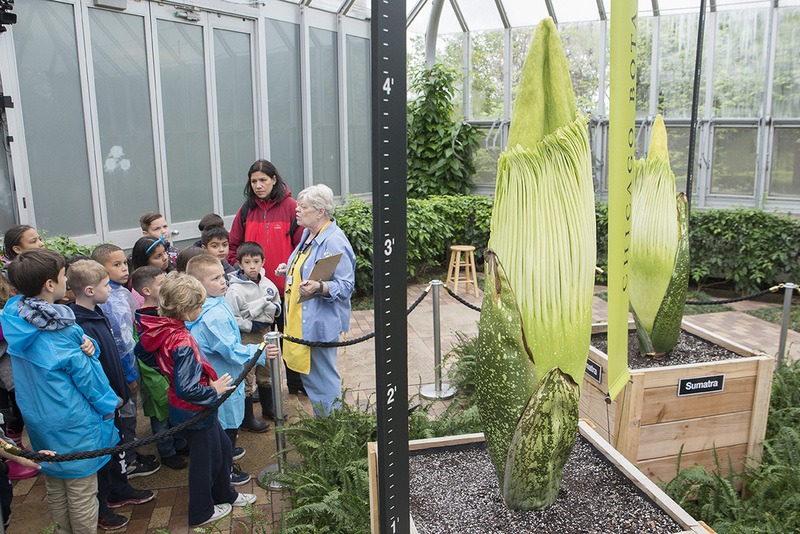 Patrick Herendeen, Ph.D., is co-director of the Division of Plant Science and Conservation and director of academic partnerships for the Chicago Botanic Garden. 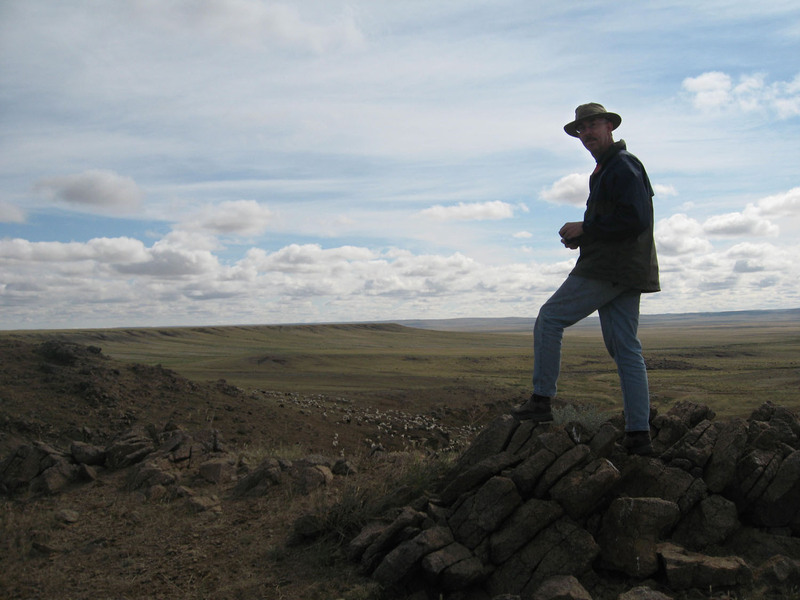 His research is focused on plant evolution and the history of plant diversity through time. His research involves studies of both living and fossil plants. I just returned from two weeks in Mongolia searching for fossil flowers. Why go halfway around the world to look for fossils of flowering plants when there are plenty of fossil flowers closer to home? Easy—because nobody has really looked there before. Camping on the Mongolian steppe. it doesn’t get any better than this! A little background first. Mongolia is a large country in Central Asia with a population very close in size to the city of Chicago (Mongolia: 2.89 million; Chicago: 2.71 million). But that is where the similarities end. More than half of the population (roughly 1.7 million) lives in one large, sprawling city, the capital, Ulaanbaatar (also spelled Ulan Bator, or “UB” for short). Most of the country is rural with very few people; it ranges from mountains and forests mainly in the north and west, to steppe in the center, and desert in the south; and it is breathtakingly beautiful. The elevation is high, the climate is continental, and with Siberia to the north you can imagine what winters are like. Mongolia is a landlocked country with Russia to the north and China to the south. Inner Mongolia is an Autonomous Region within China and it borders the country of Mongolia to the south. 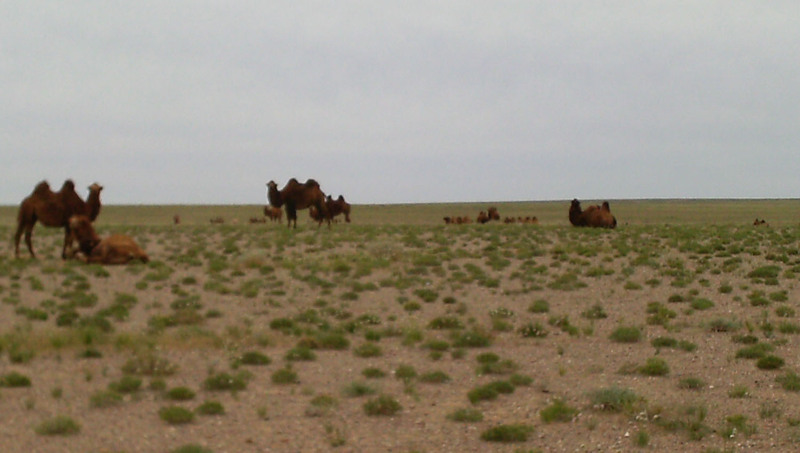 The Gobi Desert is shared by Mongolia and Inner Mongolia. It might look like central Montana, but those aren’t buffalo! 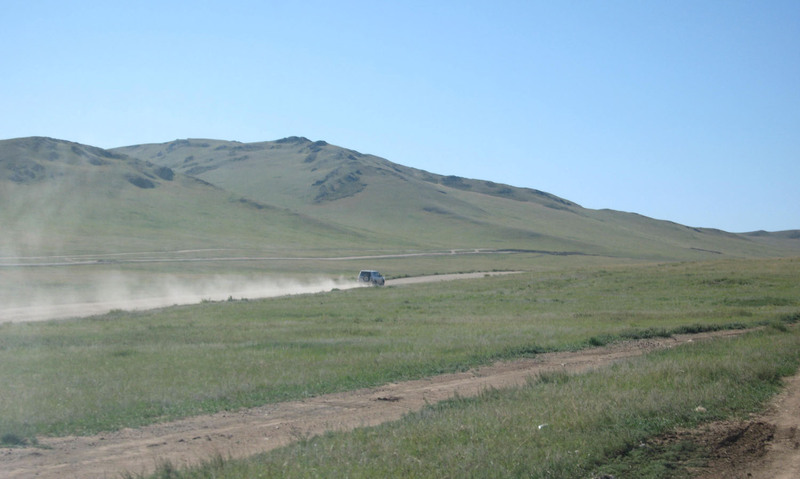 My trip to Mongolia in late June and early July was my fourth time conducting fieldwork there. 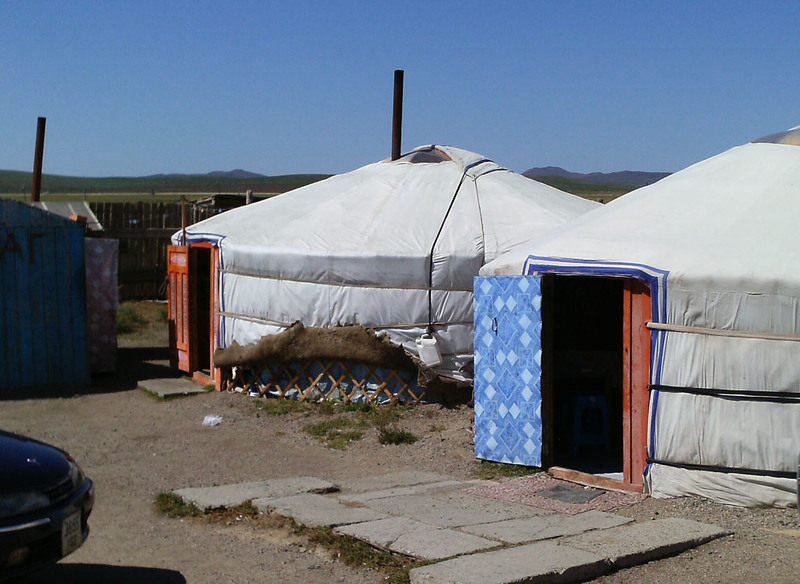 We have been working in the Mongolian steppes, which resemble the shortgrass prairie of Montana and North Dakota, so much that it is easy to get confused—until a herd of Bactrian camels makes an appearance, or perhaps a ger, the typical Mongolian house, known elsewhere as a yurt. The Mongolian steppe supports the pastoral lifestyle of many Mongols, who raise goats, sheep, horses, yak, cattle, and camels on the lush grass growth that formerly supported the many horses of Genghis Khan’s army. Mongolians eat a lot of meat, and they consume a great diversity of dairy products made from their livestock. Being a vegetarian in Mongolia would not be easy! 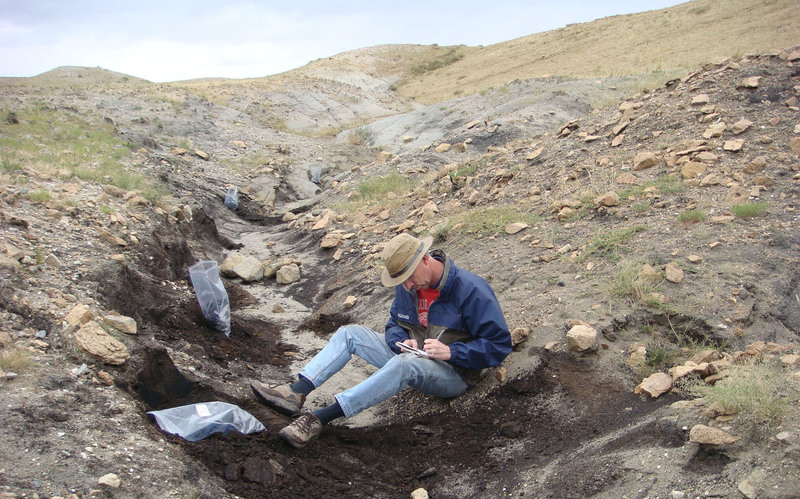 About those fossil plants… Mongolia is well known for its fossils. Paleontologists have been exploring and collecting dinosaurs in Mongolia for many years, perhaps most famously Roy Chapman Andrews in the 1920s. Mongolia has an abundance of Jurassic and Cretaceous rocks, which have yielded numerous dinosaurs, especially in the Gobi Desert. Dinosaurs are great and all, but you can’t build an ecosystem on dinosaurs! What did they eat? There had to be lots of plants there to support all of those herbivorous and carnivorous dinosaurs. That is what we went looking for: the plants. In particular, we are interested in finding fossils of flowering plants, or angiosperms. The flowering plans first appear in the early Cretaceous, and then diversify rapidly through the middle Cretaceous, such that by the late Cretaceous they are the dominant group of plants in almost all ecosystems. My collaborators and I are interested in understanding that early diversification of the flowering plants. I will explain more about fossil flowers in another post in the near future. Our lunch stop was in a traditional Mongolian ger on the way to the field site. Checking out the exposure at Tevshiin Govi, a famous dinosaur locality that also contains preserved fossil plants. In our fieldwork we have visited about ten different places in Mongolia so far. Some are natural exposures of bedrock on bluffs and hillsides, and others are coal mines. Coal is, after all, plant material that has been deposited in a peat swamp and then compressed and metamorphosed. Mongolia has a great abundance of coal deposits, which are being mined to support domestic and foreign energy needs. 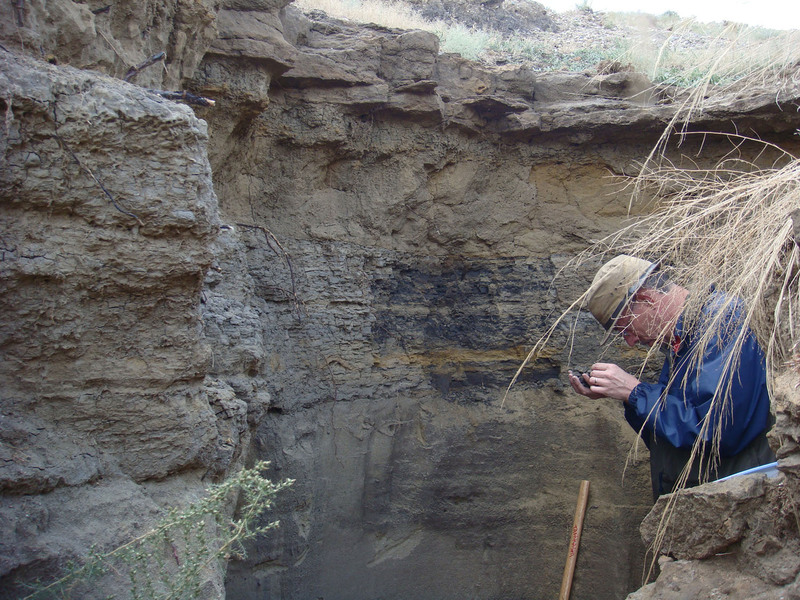 Some of these deposits in Mongolia have been only minimally compressed and metamorphosed, and they are called “lignite” rather than “coal.” Lignite deposits are great for studying fossil plants because the plant material is less compressed than in coal and can be disaggregated and studied using light microscopy and other methods. 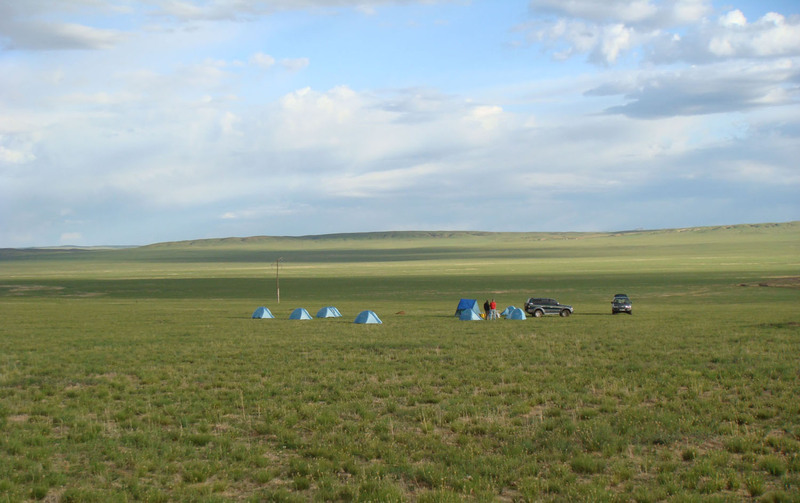 Our field sites are mainly south of Ulaanbaatar in the gently rolling hills and plains of the steppe, where we camp under the vast Mongolian sky. Our field group consists of ten people and three four-wheel drive vehicles. Everything we need for seven or so days in the field must be brought with us, including food, water, tents and other camping supplies, tools for digging, boxes, newspaper for wrapping fossils, and Ziploc bags for rock samples, which we disaggregate back in the lab to isolate small seeds, cones, flowers, and fruits (called “mesofossils”). As the trip progresses, fitting everything in the vehicles becomes more challenging as the rock samples take up more and more room; eventually we must strap some supplies on the roof of the vehicles to make room. We have camped in some amazing places. The grasslands seem to go on forever with no trees or bushes in sight. In some places there are ephemeral lakes that draw hundreds or thousands of animals to drink. Tempting as it may be, it is best not to set up camp too close to the water! Then there are the less picturesque locations—coal and lignite mines can be very messy and unpleasant environments when it comes to camping. When we are working at a mine we try to camp upwind from the mine, and far enough away that it is not too noisy or dusty when the wind shifts. The first task at a new fossil site is to scout the locality to look for the kinds of rocks that we need. For mesofossils we normally have best luck with clay and siltstone with fragments of organic material. In the field we often can’t tell whether the sample will be good or not; we only know that for sure once we get it back to the lab and process it. If 50 percent of the samples are good we feel lucky! We collect one to several gallon-size Ziploc bags of rock from as many sample points as possible, and then photograph the sample locations and take GIS coordinates for future reference. Sometimes we try to relocate samples that turn out to be really good, and photographs and GIS data are critical for this. We also try to split blocks of claystone and siltstone to look for compression fossils (“macrofossils”). If we are lucky we will find a nice assemblage of fossil leaves to complement the mesofossil assemblage. 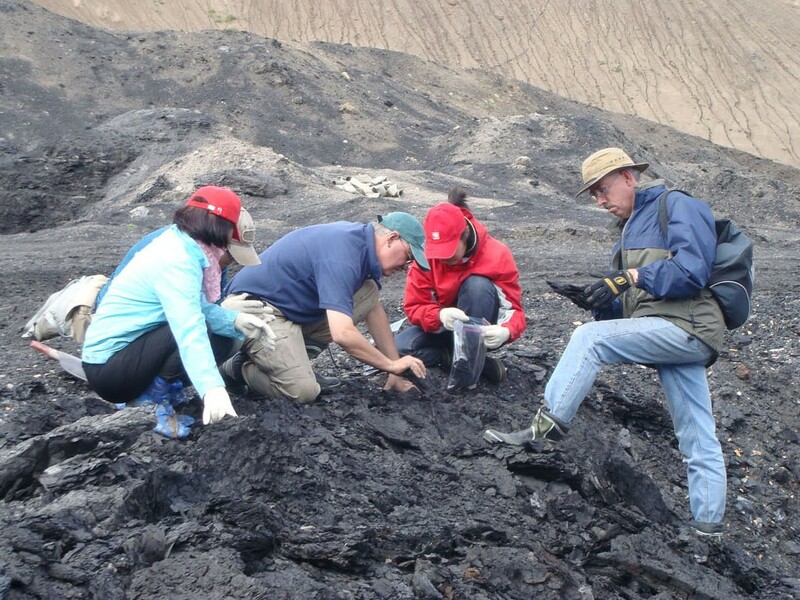 When we are working in lignite mines we search for sections of lignite where the plant material is not too compressed, remove samples, and box them up to be shipped home for processing and study. The macrofossils require extra care because they are very delicate, and the roads are rough! Each macrofossil is wrapped individually in newspaper. When there is a part and counterpart for a particular fossil (the two sides of a block that have been split open), these must be wrapped separately but kept together; otherwise, someone not paying attention might think they are two separate fossils. All of the wrapped macrofossils are carefully packed into boxes, with generous padding of crumpled newspaper on the bottom, sides, and top. Macrofossils must be packed vertically on edge in the boxes (something most novice collectors don’t realize); if they are packed horizontally, they are likely to break. 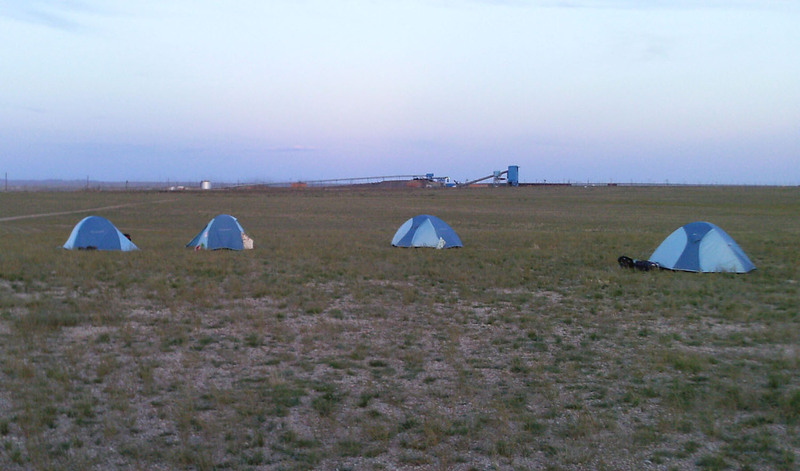 Camp with the Shivee Ovoo coal mine in the background. Yes, I have lots of rules for field work! But it is for a reason. All of this material must be securely packed into the vehicles and carried along for the rest of the trip. Did I mention that the roads are rough? Careless packing of the collections can result in great damage by the time we get back to UB. These trips are expensive, and the last thing we want is to have the fruits of our labor destroyed in transit! At the end of a day of field work we are often quite a sight, especially if we were working in a lignite mine! So it is back to camp to get cleaned up. But with no running water, cleaning up consists of wiping down with baby wipes (unscented ones for me!). Although it can get pretty hot during the day, especially in June and July, evenings cool off reliably and are very pleasant. Our camp cook has prepared a nice meal, and if it is not too windy we dine outside and watch the sun set over the horizon. A little advice- take the tent down before pulling out the last stake! After a couple days at a site we break camp and move on to the next locality. Not a bad way to spend a couple weeks of the summer! A special thank you to Masamichi Takahashi, Peter Crane, and Andrew Leslie for some of the images used in this post.